I am always a little wary when I pick up a long-listed or a short-listed Booker title to read. It somehow conjures the image of some heavy-duty reading and while that is true for most books, it also sometimes happens that I tend to enjoy the particular read a lot. The same happened with, “Philida” by Andre Brink that has been long-listed for this year’s Booker. A lot has been written about the condition of slavery. From Toni Morrison to Flannery O’Connor to Eudora Welty, all have touched on the topic and eloquently so through their stories and novels. Philida also revolves around the same theme. 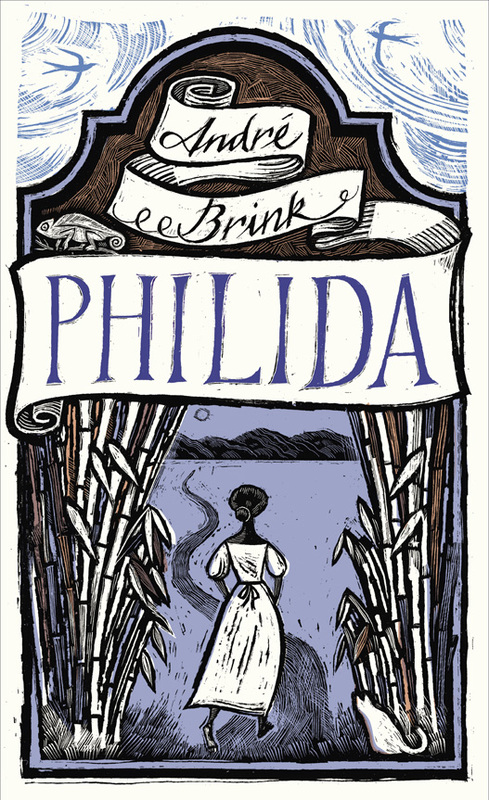 Philida is about Philida, a slave in South Africa in the 1830s, when slavery was about to be abolished. She is the mother of four children; fathered by Francois Brink, the son of her master (I was not even surprised when I read this). The year is 1832. The Cape is ridden with rumours of the liberation of slaves. Philida decides to file a complaint against Francois who had promised to free her, but has not. From there on her life changes beyond recognition. The novel also is told in third person, but goes back and forth in first-person narratives as well – that of Philida’s, Frans (Francois), Cornelius (her master), and Petronella. It is a bit difficult to read the book initially, but once you get the drift of the narrative, it becomes relatively easy. The reason the book seems so real is because it actually happened. Andre Brink is the descendant of said slave owners and while dramatic license has been taken in writing fiction, some of the characters in the novel actually existed at one point. For me, this information alone was enough to thoroughly enjoy the writing. The writing takes its own sweet time for any reader to get his or her teeth into it, but once they do, there is no keeping it, till you finish it. The novel pitches different narratives and it is yet very-well written. A novel about slavery and a woman’s need to set herself free is quite predictable, but like I said, it is the writing which makes it what it is. “Philida” is a read which is not easy and at the same time, the realities of slavery and the road to its abolishment are cleverly brought to front. The concept of master-slave and courage as opposed to cowardice is clearly seen in the book. I would recommend it for sure and hope it makes it to the short-list of the Booker this year. This entry was posted in Books, Harvill Secker, Literary Fiction, Random House UK, Review and tagged Andre Brink, Booker Long List 2012, freedom, Harvill Secker, Philida, random house, Slavery on August 31, 2012 by thehungryreader. So, I have been a fan of Ruskin Bond’s writing since I was a child. The mind would wander in the streets of Dehradun and Mussoorie, walking in those woods, and all this would happen without really going there. Ruskin Bond would bring them to you through his words and stories. The real joy of reading Ruskin Bond lies in wanting to be taken by him through unchartered lands and territories. The idea is to give in to the story, no matter how real or unreal it might seem. That was the way I approached his latest book, “Maharani”. Going by the title, one can assume that the book is about a queen and rightly so. “Maharani” focuses on an era way gone by (or so it seems from the setting) to current times of royalty (very subtly put in the last chapter). H.H. (Her Highness but of course) is the spoilt, selfish, beautiful widow of the Maharaja of Mastipur. Her only interests in life: Alcohol and her dogs. She is busy fending off her sons who are only interested in her property. She has a string of lovers, who she discards as easily as taken, and she plays out her life in Mussoorie, in her stately home called, “Hollow Oak”. Ruskin, the narrator is her only friend who is now chronicling her life and memories shared. The writing in the book is as it should be – enchanting. That is the only word that comes to mind when I read Mr. Bond’s books. Every word is carefully chosen and is not out of place. Every dramatic moment is laced with humour and the reader is not burdened with a lot of emotions, though beneath the surface, there is pathos and loss of friendship. The other characters besides the Maharani are very-well etched – from Pablo, the son of one of Maharani’s lovers to her long trusted servant Hans to a suspicious brutal nun, taking care of the palace. Ruskin Bond can never write a bad book. However, as a reader I must say that sometimes after you are familiar with a writer’s style, some books do become predictable. For instance, while I loved the way the old theatres and walking paths were described, I knew I had read them earlier in some of his other books. Having said that, “Maharani” is a delightful read about times that go by and times that are yet to come. Of friendships that are forged and decadent lives led in grandeur. 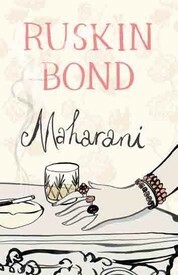 This entry was posted in Books, penguin india, Review and tagged Fiction, Maharani, penguin india, ruskin bond on August 30, 2012 by thehungryreader. 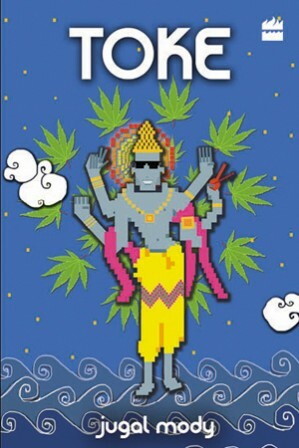 If you are looking to read a heavy-handed sort of a book, then Toke is definitely not for you. Then there is all the more reason for you to read it. Because its humour will ensure that you are laughing out loud at almost every page of the book. At least, that is what happened to me. “Toke” by Jugal Mody has all elements of a blockbuster novel. The one that can be made to a film with ease and that credit also goes to the kind of writing it is. I do not normally read pop-fiction. But this time I did and I am glad I did. Toke is all about a man, a regular man, who is the regular average Indian, living his life his way. Doped and working and wanting nothing more, till Lord Vishnu appears to him in a dream, providing him the much-needed purpose: Save the World. That is where it all begins. Nikhil, the protagonist’s life changes overnight, well quite literally. He has 72 hours or maybe less to save the world. His life is ridden with his overbearing parents, a supervisor who will not stop taking his case, a pretty girl who is unaware of his existence and but obviously he has a crush on her, and his life is pretty much what you or I might live through. And one day just like that everything changes. That is pretty much the premise of the book. You will definitely figure the layers of adventure, drama, comedy and romance (well in bits and pieces) once you start reading it. The writing is easy. The character sketching is well done. You can easily identify with Nikhil. The language is centric to the way the youth would communicate in any metropolis of the country. I could not re-read the book, but that is also because it is meant to be a one-time read, according to me. I liked the book. It is funny and works on many levels. Jugal Mody sure knows how to tell a tale. I recommend this to be read on a rainy day with a mug of hot chocolate. This entry was posted in Books, Fiction, Harper Collins India, Review and tagged Adventure, comedy, drama, harper collins india, Jugal Mody, Love, Toke, Vishnu on August 29, 2012 by thehungryreader. I discovered Joyce Carol Oates a long time ago. I think about ten years or so. Since then I have always looked forward to what she writes and she churns out at least two books or so every year. Maybe even more. The fact of the matter is that she writes like a dream. Her prose is something else. It is of the macabre, the darkness, the sexually obsessed, of strained relationships and all about life as is – in your face and not a happy place to be in. So when I got the opportunity to read and review one of her books, I could not help but give it a go. “Little Bird of Heaven” could be a love story. It could also be a murder mystery and a deep psychological drama. Joyce Carol Oates very cleverly makes the book about all of those. 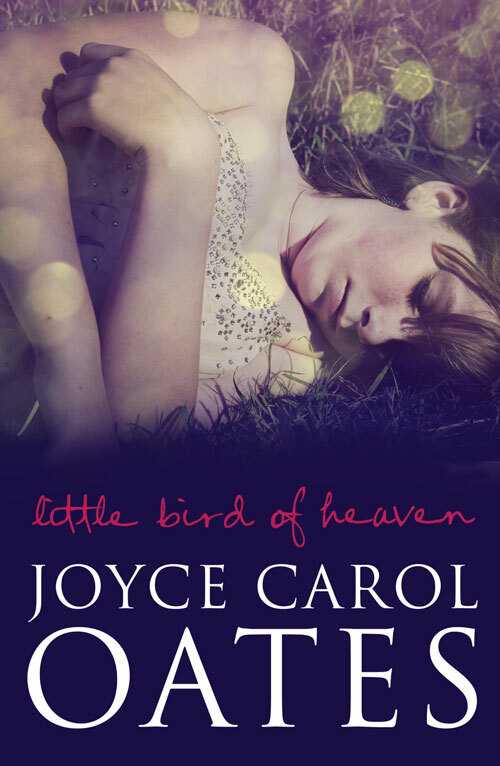 “Little Bird of Heaven” takes place in a small town called Sparta in New York, where a young mother is found dead. The primary suspects are her estranged husband and a married man with whom she was having an affair. But that is not the story. The story is about the lady’s son Aaron and her lover’s daughter Krista who are virtually strangers to each other, and now linked to each other by this crime, as they struggle to be on opposite sides, while being infatuated with one another. The story seems threadbare but it isn’t so. There are layers to it and rightly so, as this is just what Oates likes to deliver. Her narrative of this book is unique and surpasses somehow anything she has ever written. The first half of the book is told from Krista’s perspective, a young girl, who wants to believe in her father and somehow is torn between what is real and what she thinks of as reality. The second part is told from Aaron’s perspective. It is less vocal, more introspective. It is about hidden emotions and not displaying any of them, even when your mother is no longer a part of the world. Despite this, Oates does not get sentimental at any point in the book. She writes with raw intensity and emotions that are in check. That is what is needed for a book like this I guess. “Little Bird of Heaven” is about a lot of things – the past, the present and how the future shapes our lives. It is about emotional longing and cruelty. Of how children endure the pain and how they deal with it. This book is not a light read. It is about life on the edge and how the characters hang on to it. Joyce Carol Oates writes with some riveting insight. There is no happy ending; however I will definitely recommend this book to all. This entry was posted in 4th Estate, Books, Harper Collins, Review and tagged 4th Estate, harper collins, Joyce Carol Oates, Little Bird of Heaven, Love, murder, new york on August 27, 2012 by thehungryreader. 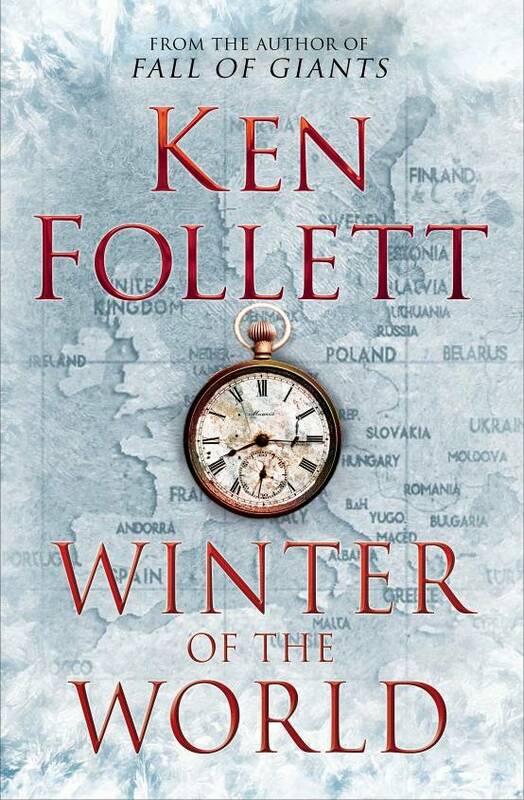 Pan Macmillan India will publish, Winter of the World, the second novel in Ken Follett’s uniquely ambitious and satisfying Century trilogy on 18th September 2012. To celebrate the publication of this epic tale, Pan Macmillan India has tied-up with Costa Coffee India for a special promotion for Ken Follett fans. Under this promotion all readers who purchase the Pan Macmillan edition of the book will receive a voucher with a scratch coupon and will stand a chance to win a cup of Costa Coffee. This exciting offer is valid across all Costa Coffee outlets in India. But the offer doesn’t stop here! Each reader also gets a chance to win book hampers worth Rs. 10000/-, Rs. 5000/- and Rs. 2500/- when they buy this edition of the book. There is more exciting news in store for Ken Follett’s fans across the world. Pan Macmillan has also launched an ambitious digital storybank, offering Ken’s fans the chance to honour and commemorate their families’ experiences of living through the war. Fans will be required to upload their stories on to the map-based app based on Ken’s facebook page, where they will also be able to read and listen to exclusive sample material from Winter of the World – tantalising glimpses of how Ken’s characters’ lives are also overtaken by the war. A selection of stories will then be published in a Winter of the World spin off ebook, due for publication in 2013, with all profits generated donated to charity. The app also allows lucky fans to get their hands on exclusive material from the book, such as signed mini samplers, a framed cover print and numbered, limited edition proofs. The promotion will be supported by multiple marketing activities and extensive digital advertising in UK. The app will have a huge global reach as Ken Follett’s publishers in the US, Penguin join with Pan Macmillan in this exciting project, which was launched on Thursday 23rd August 2012. In Winter of the World, five fictional families live out their destinies as the world is shaken by war and tyranny. Now, Pan Macmillan invites Ken Follett’s digital fan community to take part in a project that illustrates exactly how real life families were also affected by the biggest upheaval of the 20th century. This entry was posted in Books, PAN, Panmacmillan and tagged Ken Follett, The Century Trilogy, Winter of the World on August 27, 2012 by thehungryreader.